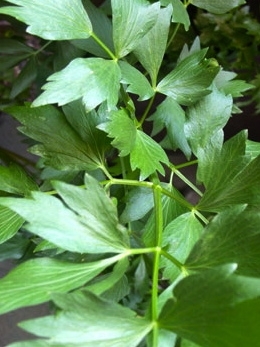 Levisticum officinale A herb with a celery like flavour. Lovage is very vigorous perennial herb with edible roots and leaves. The leaves can be used as a herb in cooking or as a saald leaf and the roots can be cooked or grated into salads.